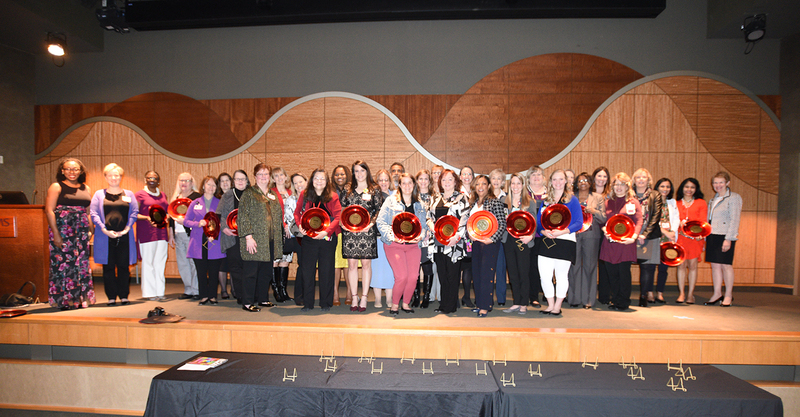 The 2019 UAMS Phenomenal Women on stage with their awards following the event. UAMS South Asian Students for Healthcare performing. 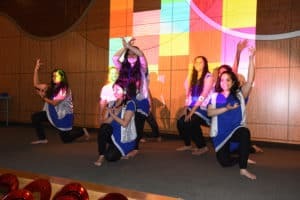 The event was sponsored by the Women’s History Planning Committee and the UAMS Center for Diversity Affairs and included a short program of featured speakers, entertainment by the UAMS South Asian Students for Healthcare, presentation of awards by Laura James, M.D., and Jan Shorey, M.D., and a lunch provided by RSVP Catering, a female-owned business, for all attendees. Odette Woods, senior director of Diversity Affairs, who has chaired the planning committee behind the event for 10 years, joined the chancellor in celebrating the diversity represented by those nominated for and receiving an award. Odette Woods welcoming attendees to the event. 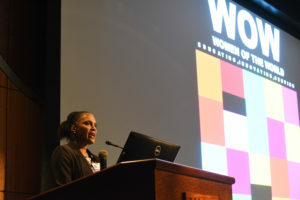 “When we created the UAMS Phenomenal Woman program, we envisioned that these phenomenal women of various backgrounds, educational levels, socioeconomic levels, race, ethnicity, age, occupation, parental status, sexual orientation, abilities, religions and military status would represent diversity and inclusion at its best,” she said. Keynote speaker Michelle B. Barnes, executive director and founder of the nonprofit Real Images, which uplifts women and young girls, spoke on the need to unite and work together despite the differences that might separate them.